I'm new here big group B fan! I collect 1:18 diecasts and resins and modify occassionaly! Welcome to the forum. Another 1/18 collector to the fold. Here's a mod i tried out on a solido, sold it on ebay last week. Anyone got the new S4 by autoart? I bought it last week with my 205 sale! nice m8, saw it on ebay, you got good money, well done...if you look at the 'new arrivals', 'model collections' and 'models in progress' threads on here you will see plenty of stuff in your interest area....I bought the s4 2 weeks ago........class if a little expensive lol!! 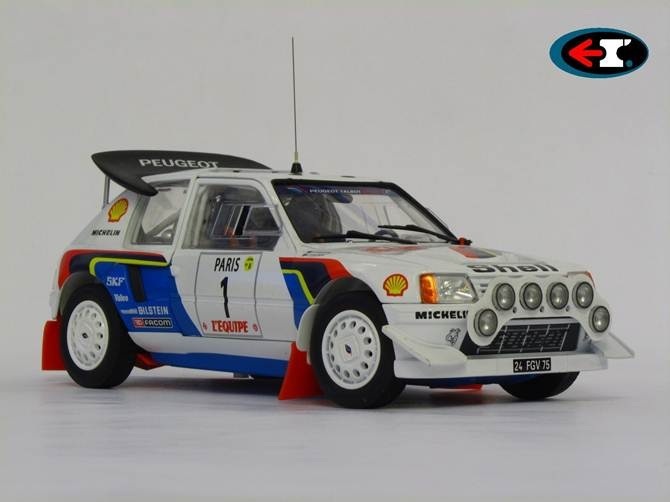 my collections are 1:18 1970-2010 world rally, 1:18 vatanen inc several conversions, 1:18 irish conversions, and mantas of all size and shape! Just had a nose round your mods, they look awesome love the 205 job! Which S4 did you get? I opted for the RAC one, got it from a guy in HK and it arrived in less than 5 days! anyway, she's class, you just gotta have don't you?? when you get some time post some pix up in the 'model collections' thread, let's all see what you got there are a few 1:18 collectors on here now, and with the limited number of bigger models available there's usually quite a lot of similarities between us, but you never know..... plus we'd love to see your conversions too.............might give some of us some ideas!! lol~~!! The solido 205 t16 looks fantastic with the additional work you have done on it, well done! Thanks Nicky. Nice to have positive feedback. Hours and hours went into it to be fair. What with sourcing parts, glues hazing the lenses, paints taking eternity to dry. Ahh the joys of modelling! Ahh the joys of modelling! . thats why we're here m8 lol!! !